To design and build a better world by delivering sustainable solutions for our customers and creating a supportive workplace for our people. 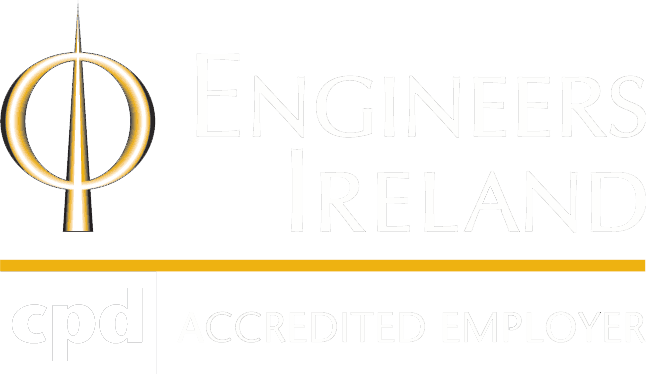 A prominent Irish building consultancy, operating in a unique work environment, growing sustainably, while enhancing our community and the lives of our people and their families. The multidisciplinary service. We are the only Irish consultancy offering this blend of services and while some customers may only require one service at a particular time, the support from other specialist fields is a source of value. We focus heavily on the client relationship, emphasising responsiveness and dependability of delivery, building long lasting relationships through investment in client events. This source of competitive advantage adds a strong subjective element to our brand. We cultivate a unique work environment, centred around trust, autonomy, and flexibility. We have a low attrition rate and a strong organisational culture. Our brand is therefore appealing to a wider group of stakeholders, i.e. current and future employees, eventually translating to a more consistently delivered service. We listen to our clients to understand their requirements. We deliver a proven, dependable and flexible service. We apply creative thinking to develop original and practical solutions. We are aware of the value proposition of each ORS team and how their services can benefit our clients. We drive quality through investment in our people, innovative processes and infrastructure. We are passionate about quality and doing our work right the first time. We are committed to improving the quality of life of our people and their families. We instil an ethos of sustainability in all our building and infrastructure projects. We balance the needs of the community, energy and the environment in all our design methodologies. We put the health and safety of people at the centre of all our design concepts. We demonstrate integrity in all our work. We are committed to the continuous development of our people through training and promotion. We stay at the forefront of industry news to adapt to change. We take responsibility for our work and respect the work of our colleagues. We lead by example in our day to day tasks. We listen to each other with a stance of openness. We are concise and articulate in our speech and writing, remaining calm at all times. We treat each other with utmost respect regardless of position. We only say things about our colleagues that we would say to their face. We admit our mistakes and are collaborative in our approach to all work. We protect the ORS reputation and the reputations of our people. We recognise employees for making ethical decisions and recruit those ho share our values. We ensure that corporate responsibility is at the heart of how we work.